Available for 2000 to 2015 full-size Dodge Ram, Ford and GM diesel pickups with 8 ft. beds, this fuel tank is constructed of bright aluminum diamond plate and mill finish aluminum, and is fully baffled to minimize fuel sloshing and maximize tank strength. Transfer Flow's 100-gal. (378.5 L) “Hauler” in-bed auxiliary fuel tank system offers maximum fuel capacity at an affordable price. The Hauler is based on customer requests for more gallons available in a commercial-grade tank. 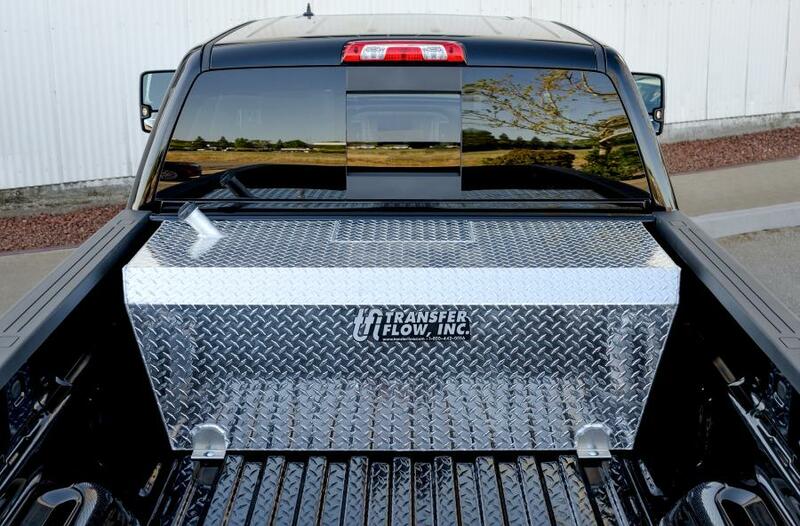 Available for 2000 to 2015 full-size Dodge Ram, Ford and GM diesel pickups with 8 ft. beds, this fuel tank is constructed of bright aluminum diamond plate and mill finish aluminum, and is fully baffled to minimize fuel sloshing and maximize tank strength. The fuel tank can be powder coated black as an upgrade. The 100-gal. auxiliary fuel tank operates with Transfer Flow's Trax 3 fuel monitoring system. Trax 3 is a computer controlled, self-diagnosing auxiliary fuel system that automatically transfers fuel from the auxiliary fuel tank to the pickup's main tank at pre-determined fuel levels. It comes with a dash-mounted LCD display that shows the fuel level percentages in each tank as well as the operational status of the fuel system. The design has a recessed cover box where the fuel tank sending unit, rollover valve and fuel filter comes preassembled. Mounting hardware is included. For more information, call 800/442-0056 or visit transferflow.com.